The wound on Li Chang Xi’s face had become a scar. A large amount of powder was needed just to slightly cover it up. She had to recuperate in her compound for one month. Eventually she had to unwillingly leave her living quarters at Shuang Yue Ge and go to He Xiang Yuan when Lao furen asked for the fifth time. Li Wei Yang was wearing a yellow and green silk cotton dress. There were orchid embroidered on the collar, making it extremely eye-catching. On her head was a simple jade hairpin. She gave off a youthful and amiable aura, making her appear to be a very friendly person. The smile on her face was even more jovial. Li Chang Xi was shocked. Lao furen was generally serious and respectable. She was never too close with her grand-daughters, but since when has she become so affectionate towards Li Wei Yang? What she didn’t know was that, for the past month, Li Wei Yang had been visiting Lao furen regularly. She was Lao furen’s companion as they prayed together, brewed tea and talked. Since then, everyone knew Lao furen’s most favored was Li Wei Yang. Right then, a servant quickly went to relay Wu xiaojie’s appearance. Li Chang Xi knew her behavior at Nan Yuan must have spread to Lao furen’s ears. She was a bit anxious, her body was stiff, unable to move. Li Chang Xi’s expression changed. She suddenly realized that Li Wei Yang already had a great understanding of Lao furen’s moods. They were both the concubine’s daughters. If Li Wei Yang could gain Lao furen’s favor, why couldn’t she? “Lao furen. . . It’s just that Chang Xi feels restless inside. . .” Li Chang Xi blinked several times as tears began to drip from her eyes. Li Wei Yang was grinning. It seemed Li Chang Xi had thought it through carefully because she wasn’t shouting venomous words or acting out in anger. Li Chang Xi finally stopped crying once she heard those words from Lao furen. Li Chang Xi stared at Wei Yang intently with a complicated feeling inside. Soon after, the two of them left Lao furen’s compound. Luo mumu jerked in surprise but she did not dare speak another word. At dusk, Li Wei Yang found a rudimentary calligraphy book as she placed it on the table and began to practice her writing. The Capital was not short of skilled and talented maidens, for example Li Zhang Le. At one year old, she was able to read. At three years, she was able to recite poetry; at five, she had memorized the Bai’s school of thought. She had always been superior amongst her peers and received plenty of praises. In the previous lifetime, Li Wei Yang only started to learn calligraphy and read books when she returned to the estate. Compared to all the other noble ladies, she had been lagging behind. Even if she had put in all her effort, she was only able to recognize the characters. Her calligraphy skills had been sneered at by many people. Eventually, she would cease to stop reading and writing altogether. However, practicing calligraphy now can help one enhance their concentration and thoughts. It was an advantage to Wei Yang. With a loud noise, the window was pushed open. A cold breeze swept inside, causing the pages of the books to flip. Bai Zhi, who was sowing at the side, stood up to close the window. Noticing the change in weather, her eyebrows furrowed. Earlier, it had been sunny and warm but now the weather had become gloomy and dark. Li Wei Yang nodded but didn’t look up. Bai Zhi knew that when Wei Yang was practicing her writing, she didn’t like to be interrupted. Quietly, Bai Zhi closed the window and left. Another thirty minutes passed by, the skies had turned even darker and grey. There was a flash, followed by the sound of thunder and then rain began plummeting to the ground. The sound of heavy rain was everywhere in all four corners. Li Wei Yang lifted her head, stood up and opened the window. She looked outside as her body slightly shook. She didn’t like the midnight rain. On the night Yu Li died, it was raining just like this. Consequently every time the world rained heavily like today, those painful memories would revisit her. Right then, Zi Yan hurriedly approached the door and set down the bamboo umbrella. After wiping her face of the rainwater, she then stepped inside. Rong’er is the new servant sent to Qi yiniang’s place. She was a quick-witted girl. Li Wei Yang took the letter Zi Yan handed over and read the content: There’s something important to discuss, a secret, come quick. Li Wei Yang paused. “At that time, the rain would have started. From Nan Yuan to here should only take thirty minutes.” Yet it has been raining for an hour. . . According to the letter, Qi yiniang had an important secret to discuss with her, so obviously she would have to go by herself. For some reason, Zi Yan felt something ominous was about to happen. . . Thank you for the new chapter! A storm is sure brewing, can’t wait for the action. Thanks for the new chapter. I get the feeling that the letter is a trap. Thanks for the chapter! I hope this isn’t a trap involving her mother’s death again. Odd cause most people feel that something bad will happen. shits bout to go down. o_o I’m scared for her safety. Please be safe, Wei Yang. When is the male lead going to show up??? Or is there even a male lead in this story??? Amfufu should I spoil you? hmn…welp…the male lead has shown up. You just didn’t recognize him. Er…wait..is it okay to spoil? If not, I’m so sorry! It’s not a spoiler if it’s like that, and I think I know who the guy is… Thanks!!! well, yah, she’s got a great backing now! now then, what is happening—?! Hohoho, time to finally see some action! Thanks for the new chap! i’m sure the ‘message’ from her mother has to do with Zhang Le’s pervy cousin, ew. so glad wei yang is so cautious and clever !! thank you so much for this chapter and all ur hard work, i know it can’t be easy to along w/ all irl responsibilities ! Yay! Thank you for the new chapter! It probably is part of Zhang Le’s scheme. It’s sad that people think being nice means being a martyr or pushover. It’s perfectly possible to be both kind and prudent or cautious. I hope Wei Yang realizes this soon, so she doesn’t see herself as evil. An evil prrson wouldn’t interact with Min De like she does, though she has become a schemer now, but those she’s plotted against were trying to hurt her first, and what they got is what they deserve. Btw, how different is the drama from this? I haven’t seen it, but the premise sounds too different. Without the events in her original lifetime, there is really no justification for her going against those who she doesn’t know are trying to hurt her? The drama is quite different. For example, main character girl is a Liang princess who seeks revenge on the Wei kingdom by taking the identity of Wei Yang, the prime minister’s misfortunate daughter. 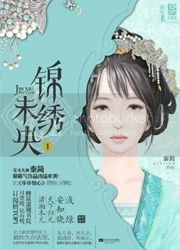 She falls in love with the Emperor’s grandson, Tuoba Jun…who her half sister, Cheng Le is obsessively in love with. Some similarities, but the buildup is different from the novel. Something is in the air. Thanks for the chapter. I would what play we will see next. Thanks for the chapter. I would what play we will see next. Wow! I’m back and there are tons of updates! I have watched the tv drama and I got hooked instantly, the actors are great and the story is different from what I used to watch so it’s kinda refreshing to me. 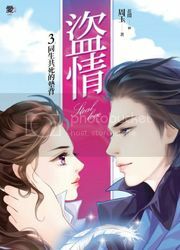 When I found out the story is based on a book I searched it online, much to my dismay it is written in Mandarin, finally I bump into your site and I couldn’t attain my excitement. At last, i get to understand every word. Thank you so much for this. I know you can’t get any profit for translating but you do it in your good heart, I guess we bookish like to share what we read. Thank’s a bunch. why this series so addicting.. I really can´t thank you enough for so many new chapters these last days!! Thank you so much for the translations so far! I must admit, the novel is far more interesting than the drama version. I’ve only read ten chapters but I’m loving the revenge plot so far. Thank you so much! Please don’t stop the translations! Thank you so much for the translations! I just binge read this and its such a good story! Thank you for translating the story so far!! I really want to appreciate all the effort it took you to translate this 29 chapters. I saw the original book, and I really admire the way you can read chinese and at the same time translate it to English with so many accuracy. Hope everything goes well in your life and we can get goodnews from you one of these days. Hmmm is this dropped? Has someone picked it up?